Son Birthday Quotes i.e. 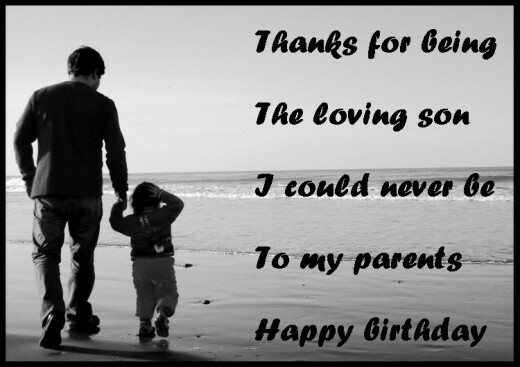 searching for some sweet birthday quotes, messages and wishes for your dear son. If yes, now you don't need to search for them anymore. As here I have compiled down some of the best happy birthday quotes and messages for you to say to your dear son. Just hope you will like this quote compilation and able to find some good happy birthday quotes and messages to say. A father knows his child's heart, as only a child can know his fathers. A wonderful person, has a wonderful life. And, so shall you. We are always there for you, son. Wish you a very happy and sweet birthday. Enjoy. As much as we adore you dear son, we also look upto you with admiration and respect for what you've done with your life. Always keep making us proud. Have a great Birthday! As you start another fantastic year of your life, we wish that all your dreams come true. Happy Birthday to our dearest son. For us, you're more than Superman, Batman, Jedi, Anakin Skywalker, Iron Man and all the other superheroes of the world. You're our very own super boy son. Wishing you a very Happy Birthday today! From the day you were born we knew that you'd be the most ideal son ever. You were always special and you always will be. Happy Birthday dear son. Here's a toast to a lovely human being, a kind hearted gentleman and a loving individual who deserves only the best in life. Happy Birthday. It's a great joy for us to see our son grow up year after year into such a fine gentleman. You are the best son ever! Happy Birthday, dear son! Just like one shooting star in the sky can brighten up the whole horizon, you, my dear son, have brightened up our lives by coming into this world through us. May you always be blessed. Happy Birthday. We consider ourselves to be very lucky parents because we've got a gem of a son like you. And on your special day today, we want to tell you how much we love you! Happy Birthday son. You have always made us proud. Our blessings are always with you. May God bless you with all you desire. Happy Birthday Son.